Shoveling snow can be more than an occasional annoyance during the winter months. It can also be an unexpected source of back pain. It’s the heavy, wet snow that tends to place added pressure on your lower spine. If you do have to do some shoveling, there are precautions you can take to protect your back in the process. 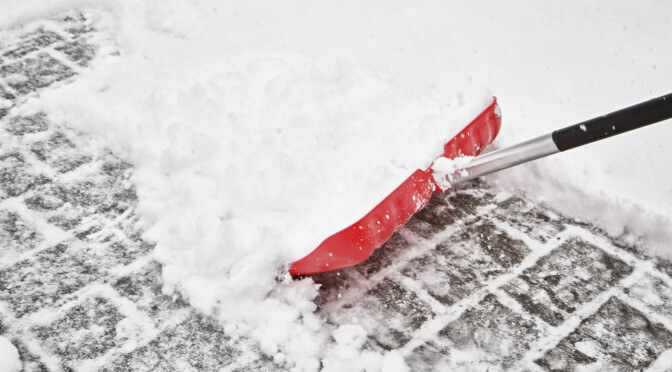 Here are a few recommendations for safe shoveling, from trusted spine surgeons in Beverly Hills. Whenever possible, team up with a family member, friend or neighbor. Dividing up the shoveling work allows you to minimize back strain. Some community groups also offer assistance with snow shoveling from local volunteers for people who have difficulty removing snow from their property. Ergonomically designed shovels made with a curved handle encourage proper technique and take the pressure off your lower back. If you get a lot of snow where you live, consider investing in a snow blower. If you have a history of back problems, it’s best to avoid shoveling as much as possible. Consider hiring a company that provides snow removal service. Some roofing companies offer such services. Lower back pain from shoveling snow is often due to some degree of muscle strain. If the pain doesn’t go away after a little rest or home remedies like the application of heat or cold, however, it’s time to see your doctor. If you experience back pain year round, it might be time to consider minimally invasive back surgery or other surgical options for pain relief. Call The Spine Institute Center at (310) 828-7757 and request an in-person consultation to learn more.